On the Gold Coast? Need to get away for the day? Try a Sunday Drive a local would enjoy. Any day suits a Sunday Drive. All destinations are about an hour's drive maximum, unless mentioned otherwise, from the central Gold Coast. Today Sunday Drive will take you on a trip down into northern New South Wales and the small, laid-back town of Brunswick Heads. Here you can go fishing, surfing, swim in a protected inlet, hire a canoe for a paddle on the river, have lunch at the local hotel, or get some take away and sit on the edge of the river to munch away while the kids play in the playground. From the Gold Coast, this is an easy drive through some rolling open countryside. 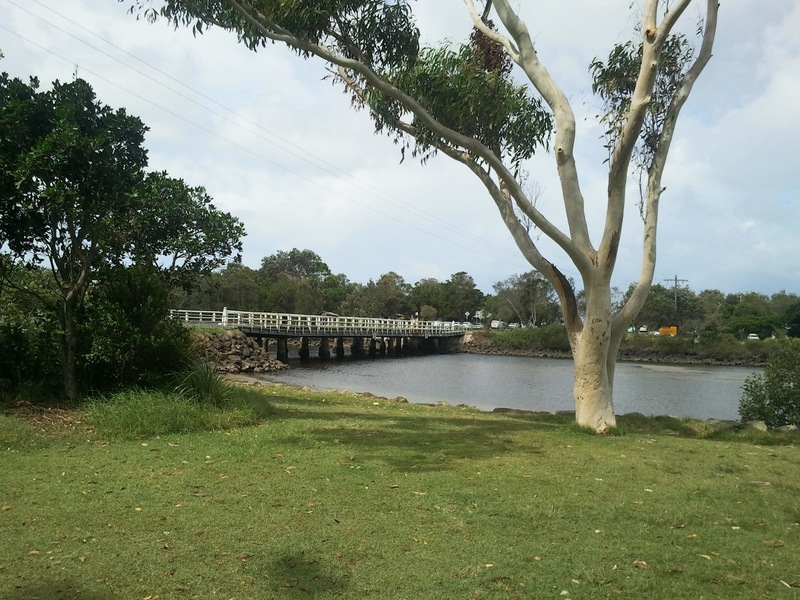 By going south on the Pacific Motorway (M1) which is quick to access, running along the western edge of the Gold Coast, you quickly leave the dense view of concrete and enter some open, green vistas and rolling hills, backed by an ancient volcanic rim. The trip is along dual highway for almost the entire journey. 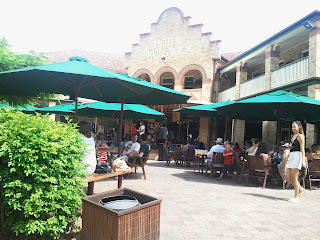 Brunswick Hotel. Great atmosphere here. 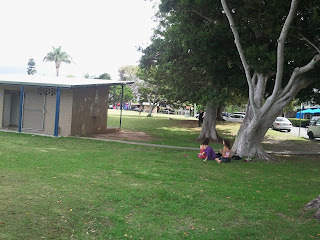 Looking towards the riverside playground. Shops on right. There are two bridges across the river. 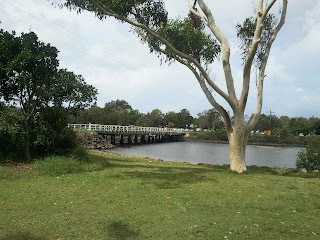 One is footbridge only and runs to path down to surf club. The other takes cars too. It is on the northern end of the park. People often fish from these bridges. View north from the footbridge. 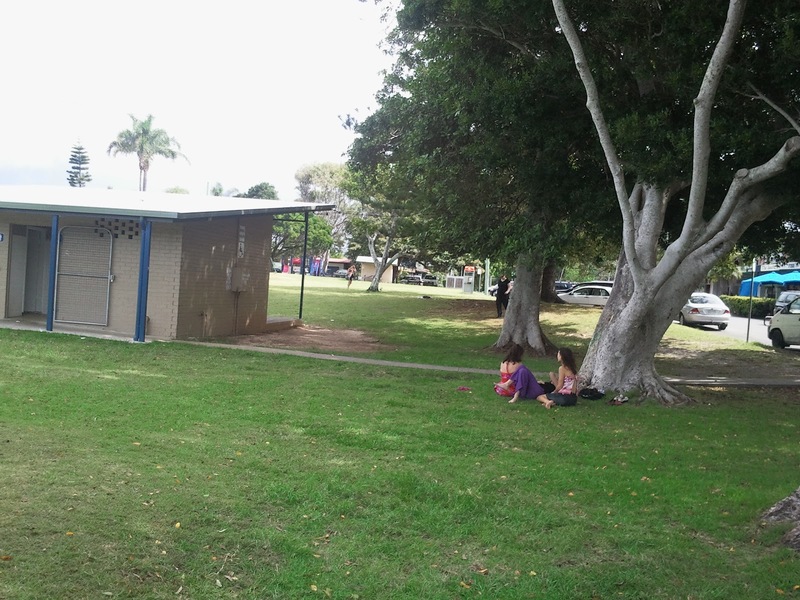 Park and playground on left. Beach to right. View across river from park. Sheltered inlet just behind cars on far bank. 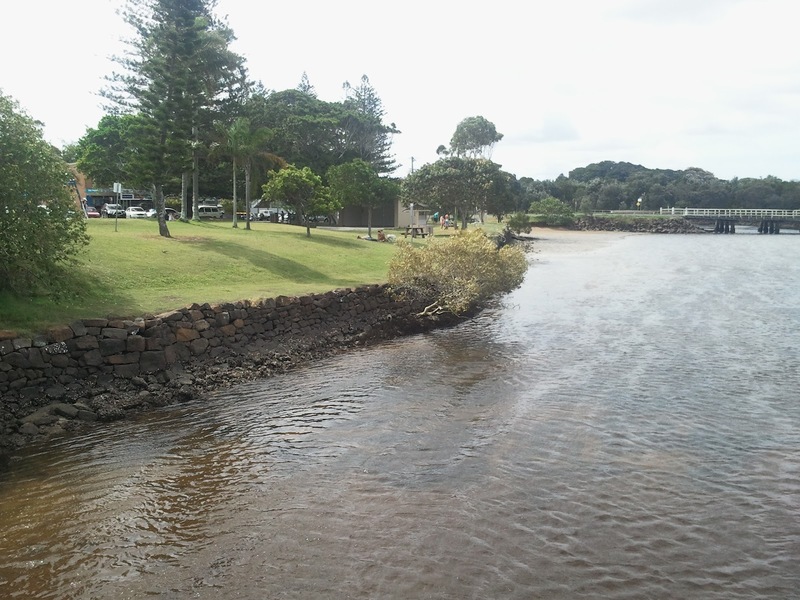 The river is shallow, especially at low tide. At the beach end of the bridge in the background, you can find a sheltered inlet. 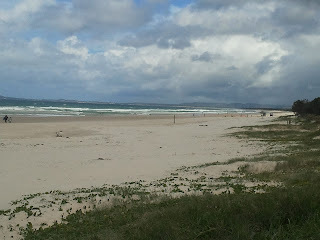 This is particularly good if it is windy on the beach or if the surf is too big for the kids. Sheltered inlet, away from surf at Brunswick Heads. Brunswick Heads surf beach. Patrol and flagged area in distance. There is lots to do here. You and the kids can spend time in the water with an easy break for lunch. 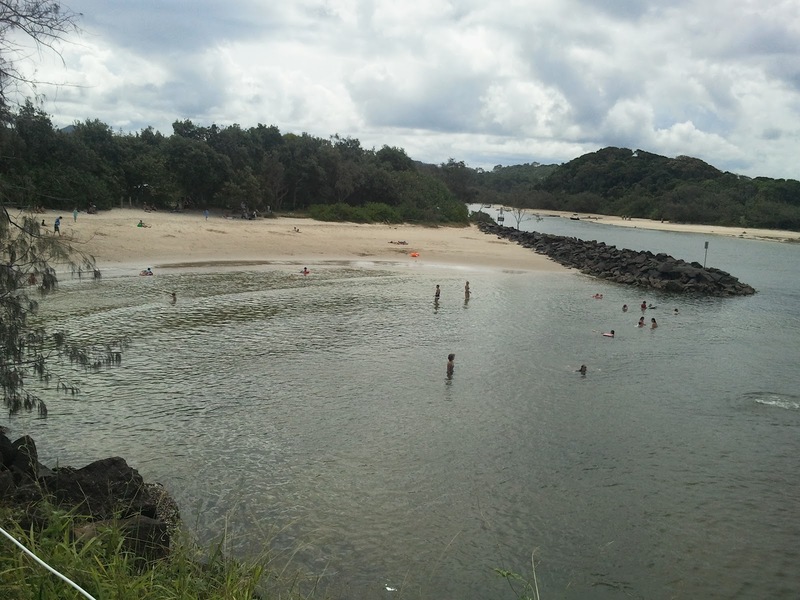 It is a relatively short drive down to Brunswick Heads and offers a beach environment different from that on the Gold Coast. Well worth the drive down. Nearly 200 free and low cost activities for all ages. The red and yellow flags show there is a lifeguard on duty. Read the sign between the flags. Swim between them if the beach is open. Have fun. Surf clubs offer great meals at reasonable prices. Have breakfast or dinner overlooking the ocean as a fantastic way to start or end your day. Free entry. You will need photo ID. If you park next to a yellow line on the street, you will be fined. It shows a no parking zone. Watch out. We love exploring the Gold Coast. There is such a variety of things to do whether resident or visitor. We hope these notes give you ideas for exciting, relaxing, adventurous Sunday Drives. Lifetime memories await.